Great Circle Route’s 2018 trips exploring the English countryside will soon be underway. We are always excited at the prospect of settling in to our walks in this beautiful, vibrant, historically iconic land of lush scenery, gardens and unspoiled footpaths. Equally appealing is the expectation that along our walks, we will enjoy our rest and lunch breaks at the ever-present English Public House. England’s pubs are the embodiment of English heritage. Over hundreds of years, pubs have served as the hub of the community - where the locals gather to socialize, relax, and engage with their fellow residents; hence, when you visit a pub, you gain a sense into the local and regional culture and traditions of the community they serve. Naturally, they have evolved over the many years in conjunction with societal changes. Where they once were the meeting place to discuss all matters of community interest while serving hearty food and drink; now the current pub menu and activities have adopted a more expansive, inclusive and family friendly atmosphere. There is always a pub tucked away along our walking routes where we take our lunch breaks. Their drink menus are known for their varied selection of teas, coffees, bitters (beer), lagers, and ciders. 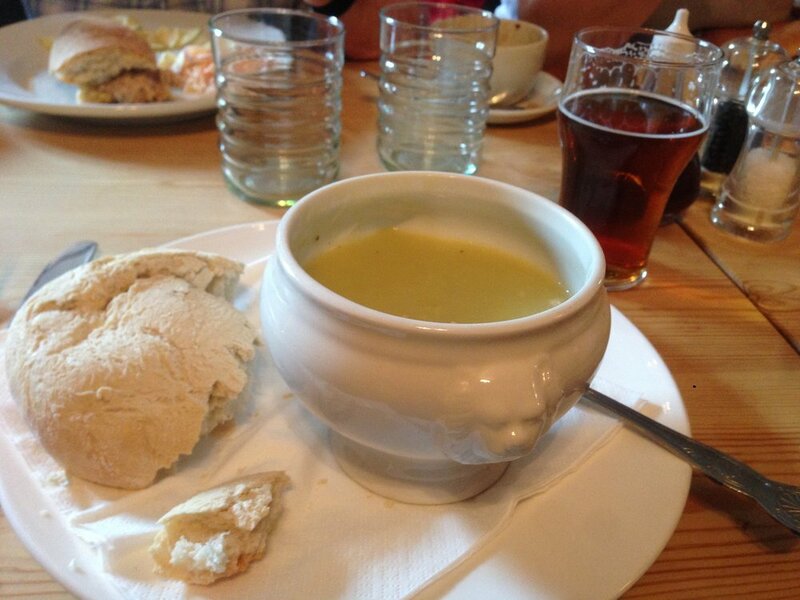 Lunches are classic pub foods with one of my favorites being their tasty and rejuvenating soups. 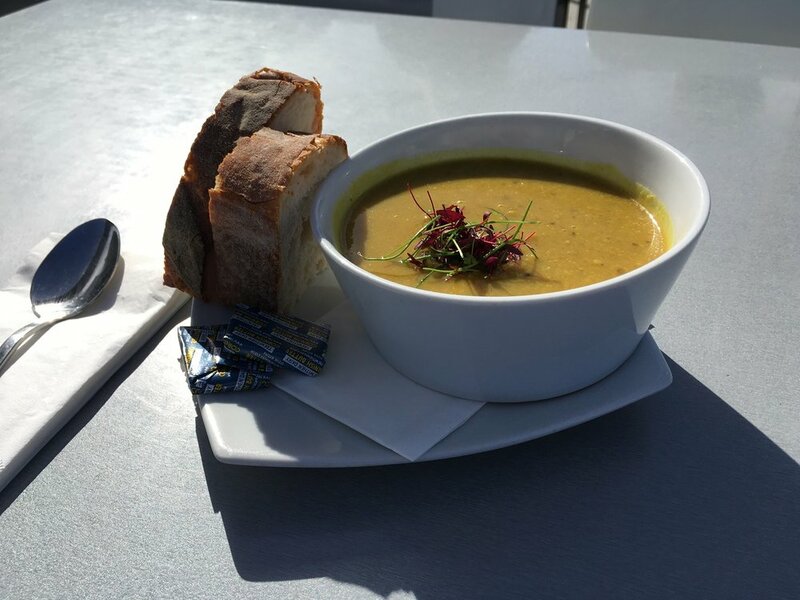 Just as the English are masters of all things tea and cider, they have perfected the pureed soup. Add a specialty sprig to give it a locality flavor, complemented with a lovely loaf of crusty bread, and you are now ready for another 6 miles! Chop the onion roughly and break the cauliflower into florets. Melt the butter in a large heavy-based pan over a low heat and add the onion, carrots and cauliflower, allowing them to soften for a minute or two. Add the turmeric, ground coriander and cumin and stir, cooking for a further minute or two. Add water and stock to just cover the ingredients, bring to a boil and reduced to simmer for 40 minutes. Blitz with a stick blender or food processor, add salt and pepper to taste, and serve with crusty bread.